Richard Mebane, PMP has joined Verrex as vice president of pperations. Mebane will be responsible for providing senior operations leadership to Verrex global teams and driving day-to-day execution and escalation of post-sales delivery for Verrex’s AV systems integration and managed services portfolio. Alongside the sales organization, he will proactively engage clients to monitor, assess, and build on Verrex delivery performance. 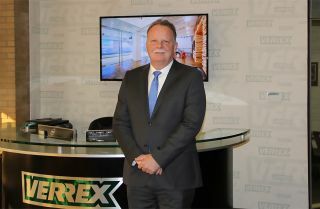 He is part of a senior leadership team that reports directly to Verrex CEO, Thomas Berry, Jr., CTS. Mebane brings over 20 years of technical operations experience to Verrex with a broad background in project implementation and support team leadership, most recently as vice president of professional services at Activu Corporation. He is a Six Sigma Green Belt, and holds a Masters Project Management Certification and Masters IS Security Certificate from Villanova University. Mebane is based at Verrex’s headquarters in Mountainside, NJ, part of the company’s global workplaces that also include Boston, Houston, Los Angeles, London, Hong Kong, and Shanghai.